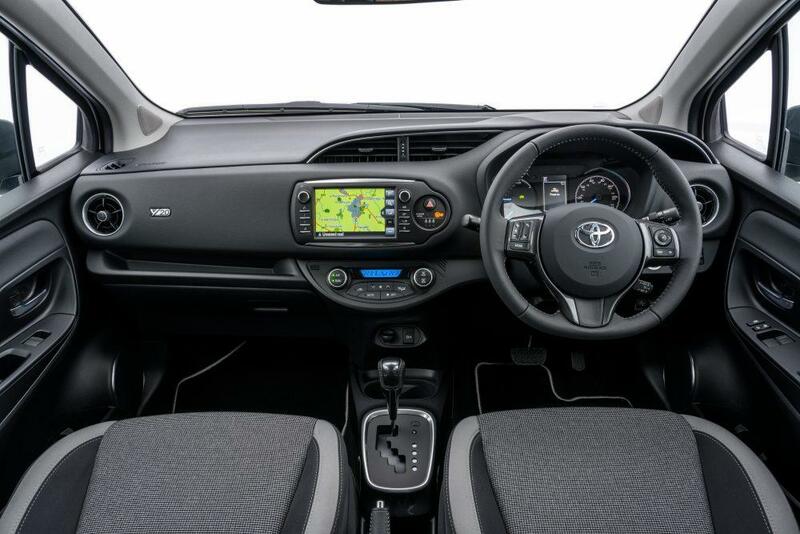 Both versions take their place in a revised Yaris range, which continues to offer the established Active, Icon, Icon Tech and Excel grades – the latter with enhanced equipment specifications. Yaris remains unique in the supermini market in offering customers the fuel-efficient, low emissions and refined performance of a self-charging full hybrid powertrain. The introduction of the new Yaris Y20 is led by a limited edition version distinguished by a bi-tone paint design featuring the original gold metallic colour Toyota used to launch the original Yaris model in 1998. This is combined with a contemporary dark grey finish for the roof, pillars and door mirror housings. Just 100 cars are available for UK customers. Beyond this special version, the Y20 grade will be central to the Yaris range, offering customers a strong combination of style and equipment features, including a bi-tone finish as standard, with a choice of gold, black, silver or white bodywork. The impact of the car’s styling is heightened by rear privacy glass, 16-inch alloy wheels with a machined/dark grey contrast finish and dark grey fog light surrounds, side sills and front grille, plus Y20 badging. The smart dark grey theme is picked up in the cabin with trim detailing on the steering wheel and centre console. This contrasts with a satin finish for the shift lever surround, air vents and audio speaker trims. The front sport seats have a dark and light grey upholstery with silver grey edging to the head restraints, seatbacks and cushions. The front seats are decorated with the Y20 logo; there is also a Y20 Badge on the left side of the dashboard. The general specification matches that of the Icon grade (details below). Inspired by the exclusive Yaris GRMN performance hatchback, the new Yaris GR Sport brings more sporting style and handling to Toyota’s supermini range and is another example of the motorsports success of Toyota Gazoo Racing – winners of both the Le Mans 24 Hours and the World Rally Championship’s manufacturers’ crown in 2018 – is feeding into a new generation of exciting road-going cars. The modifications are focused on the suspension, giving the car engaging handling and responsiveness. It uses Sachs Performance shock absorbers similar to those fitted to the GRMN and a solid (rather than hollow) anti-roll bar to gain extra rigidity. The car has a sporting stance, too, with suspension lowered by 15mm and the body sitting 9mm closer to the ground. 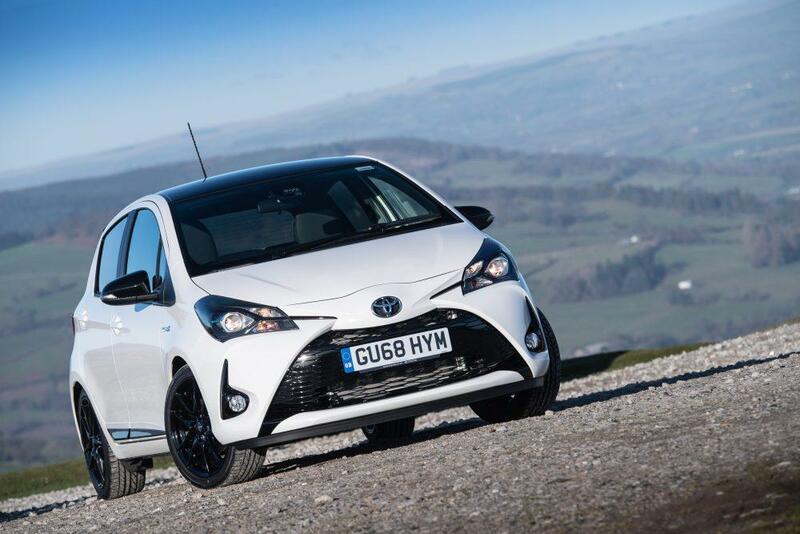 The exterior styling follows that of the Yaris GRMN, including a black bi-tone roof with rear spoiler. There are piano black door mouldings, a black honeycomb grille, black door mirror housings and black front fog light surrounds. The headlights are unique to the GR Sport, with black interior detailing. Dark-tinted rear privacy glass is also fitted as standard, together with GR badging. Optional red decals can be added to the front lip and the top line of the lower rear bumper to generate extra sporty visual appeal. In the cabin the sporting character is clear to see in the supportive GR-branded sports seats, with Ultrasuede seatbacks and cushions. The small-diameter three-spoke steering wheel is shared with the Toyota GT86 coupe and there is a black headlining. Every journey begins with a GR animation on the TFT multi-information display when the engine is started. The black floor mats carry the GR logo as well, and feature contrast silver edging. The GR Sport is exclusively a five-door model, powered by Yaris’s standard 1.5-litre self-charging hybrid powertrain. For 2019, the Yaris Icon Tech has a revised equipment specification that includes rear parking sensors in place of the previous front sensor system. Toyota Touch 2 with Go, including navigation, remains a key feature of the Icon Tech. This model is available with all powertrain options: 1.0 and 1.5-litre petrol manual, 1.5-litre petrol CVT automatic and 1.5-litre self-charging hybrid. 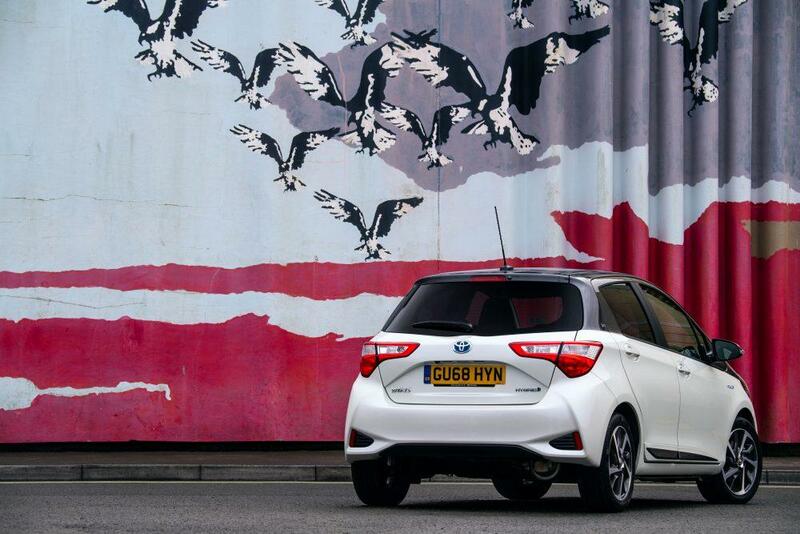 Where the Yaris Excel is concerned, the model becomes exclusively a self-charging hybrid version. New features include smart entry and door mirrors with an auto-folding function. This increases the car’s already impressive equipment portfolio, which boasts 16-inch black/machined alloys, automatic air conditioning, LED rear lights and daytime running lights, power windows front and rear, black side sills and part-leather seat upholstery. A panoramic roof option is also available. The entry-level Yaris Active is unchanged from 2018. Available with either a 1.0-litre petrol or 1.5-litre self-charging hybrid powertrain, it comes equipped with Toyota Safety Sense (Pre-Collision System, Lane Departure Alert and Road Sign Assist), rain-sensing wipers, power-adjustable heated door mirrors and front power windows. The Icon grade models (1.0 and 1.5-litre manual, 1.5-litre petrol automatic and 1.5-litre hybrid) add 15-inch alloy wheels, cruise control with automatic speed limiter, front fog lights, Toyota Touch 2 multimedia system with DAB, reversing camera, leather steering wheel and 4.2-inch colour TFT multi-information display. The Toyota Safety Sense package further includes Automatic High Beam, while the hybrid version also comes with automatic air conditioning, push-button start and leather parking brake trim. These equipment features are also included in the new Yaris Y20 specification. The Y20 Gold Edition adds a pearlescent paint option cost to the OTR price (+£235). All Yaris are covered by Toyota’s five-year/100,000-mile new car warranty.